The owner initiated a major expansion of his longtime home by demolishing a neighboring residence and marrying the two sites into one. The Landscape Architect unified the design by utilizing ornamental ironwork and masonry walls to organize the exterior spaces and create a dialogue with the architecture. 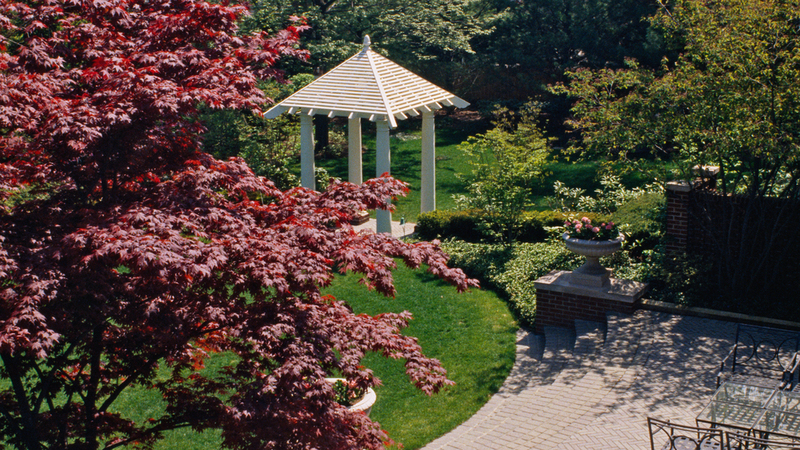 A latticed-wood gazebo provides a handsome focal point that brings drama to both the site axis within the gardens and the off-site views.